For the last 3 to 4 years, residential real estate (flats) market has seen sluggish demand, which has caused the unsold inventory levels to go up in some of the key Indian geographies. Mismatch of products in demand and products in supply in terms of price and configurations has been the main reason for the rise in inventory levels. Interestingly, 2016 had started on a sunny note. The residential real estate market, which had witnessed a slump in project launches in 2015, showed a visible comeback in the first quarter. There was a six-fold increase in launches of the affordable housing projects, as developers predicted greater demand in this highly price-sensitive segment. One way or / the other, factors have now transpired to make residential real estate a buyer’s market that gives buyers the upper hand. They have a lot of options to choose from, with the added benefit of flexible rates and attractive payment plans. The Advantages Of A Buyer’s Market..! Real estate prices usually drop as inventory increases – but even if they do not, negotiation power goes up. Some realtors and refuse to understand the realities of a slow market & will not accept any offers less than what they feel they should get. If a buyer feels that he is not getting the best possible deal, he/she should be confident enough to walk away & look at the next option on the list. Remember that in a buyers’ market, it is the buyer who has the power. It pays to be aware of & confident about one’s bargaining power. If the home has been on the market for many weeks or / months, has perhaps already undergone some price reductions and is still unsold, it strongly suggests that the seller is hoping to sell it as soon as possible. In such a situation, it makes sense to ask the seller for add-ons such additional furniture or / fixtures, apart from a heavy discount on the listed price. Also, some real estate brokers may be more inclined to knock a percentage point off their commissions & pass on the benefit to the buyer to get deals done. However, the best advantage for a buyer will lie with property consultancies that do not charge any brokerage from buyers at all, but only from the sellers. Avoiding Confusion In A Market Saddled With Heavy Unsold Supply..! Another inevitable result of heavy housing inventory on the market is that prospective buyers are confused about which options to focus on. This ‘problem of plenty’ can be resolved by looking only at select projects by reputed developers – it is surprising how quickly the range can narrow down if one eliminates anonymous smaller players from the field of vision. The lure of discounts & flexible payment plans that currently define the market should not obscure a developer’s track-record, on-ground construction activity on projects & the market’s response to these and previous projects. The initial choice should be made based on developer’s reputation, track record, project construction activity at site & locational advantages of the project. · In the case of under-construction projects, buyers should only consider those which are likely to be completed over the next 12 to 18 months. · Again, going with developers who have a healthy track record of delivery will mitigate the risks related to timely delivery. Expected Resurgence To Benefit Both Developers & Buyers..! Both the RBI and the Central Government have taken certain key steps to revive the real estate market. Firstly, the implementation of Real Estate Regulatory Act will ensure transparency in the real estate transactions, which will help safeguard the interests of buyers. RERA will not only help in expediting the completion of the ongoing projects but also immunize buyers from any fraudulent practices. The RBI has reduced interest rates, which will allow prospective home buyers to avail of cheaper home loans from banks. These factors have infused renewed positive sentiment in the market, and will ultimately result in boosting demand for residential properties. An increase in demand will ultimately help developers improve sales velocity for their products, help improve cash flows to complete their ongoing projects and pay-off debts. 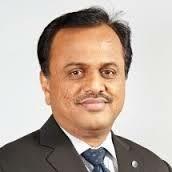 Mr. Santhosh Kumar, CEO – Operations & International Director, JLL India.